This week I received about 20 phone calls from people asking me this question. One client named Lori just left a two-hour sales presentation wondering if she and her husband had done the right thing by not purchasing Travelshare directly from the developer. Another couple did purchase 10,000 additional Travelshare credits for over $25,000 and called to find out what I thought. If you are interested in Worldmark as a new owner or a current owner looking to upgrade, you have probably heard of Travelshare and wondered about the value of it. One of our clients was told at a sales presentation that unless they upgraded to Travelshare that they would be second class Worldmark owners. Another was told that they would no longer be able to stay at any new Worldmark resorts unless they purchased Travelshare (not true). There are countless Travelshare rumors and misnomers that one has a hard time knowing what is true or not. If you are in this camp, then I hope this article is helpful. First of all you need to know that I LOVE my Worldmark membership. I have been an owner for 13 years and book over 100,000 credits per year just for my family. I know, rough life :). I have vacationed at over 30 of the Worldmark by Wyndham resorts – see my insights to many of the resorts under the About tab of our website: www.worldtimeshareclub.com. In addition, I have exchanged my Worldmark credits into over 100 vacations through RCI and Interval International (II). By the way, ANY Worldmark owner (even without Travelshare) can exchange their Worldmark credits in RCI and II. Most people would say I’m an expert at using the Worldmark system and exchanging my credits. You also need to know something that is very important – I also own Travelshare. I purchased mine when it first came out in 2006. I purchased because I was told I would be able to use this Wyndham add-on to my Worldmark membership to travel to hundreds of additional places and be able to trade my credits for cruises, hotels, car rentals, airfare and other great merchandise. Maybe you’ve heard the same thing. Yet, with all the vacations I take, I have never booked even a single night with my Travelshare credits. You might think that out of the roughly 30,000 owners that have Travelshare that I would be one of the most active users of the program. Unfortunately, it’s not the case. Why haven’t I used the Travelshare account that I spent so much money on? Well, first of all, of the 30 or so Wyndham resorts (not hundreds) that are available for Travelshare members, most of them have little or any inventory available. What most people don’t realize is that these resorts are owned by Wyndham owners who get first priority to book them. It’s only after all the best dates are taken that rooms are released for Worldmark by Wyndham Travelshare owners. I have never been able to find any good availability for myself, friends or family. Next, one of the biggest selling features about a Worldmark by Wyndham Travelshare membership is the ability to exchange your credits for cruises, hotels, car rentals, airfare and other merchandise. Every conversation this week included comments from people about these exciting opportunities. In each phone call, I listened and then asked this question, “What is the credit value assigned to these “benefits”? None of them had any idea. To me, this is the most important issue. If I’m going to trade my credits for something, I want to know what they are being valued at. Let’s take a step back and look at this financially. Every membership costs money to purchase. Plus every membership has yearly maintenance fees. If you click on the following link from our site you can see a current maintenance fee chart. Just for example, let’s say that you have a 10,000 annual credit membership and are paying maintenance fees of $829.52. That means you are paying almost 8.3 cents per credit in maintenance fees. Not only have I not been able to find any attractive Travelshare openings or thought it was a good value to exchange my credits for stuff, but there are three other reasons why I won’t be buying more Travelshare credits. The first is that Travelshare credits have fees IN ADDITION to the normal Worldmark maintenance fees. If you call or email us we can email you over the new Travelshare fees for this year. Like most owners, Lori had no idea that there are separate Travelshare fees. The next reason why I won’t be purchasing any more Travelshare credits is because Travelshare credits are not transferrable except to immediate family members. So if you ever want to sell your Travelshare membership to someone besides your closest family members, then the Travelshare feature is worth absolutely $0. Not only that, but the person who buys your membership can never have Travelshare on the credits you sold them. Most people are completely unaware of this aspect of Travelshare. One client I spoke with this week said to me, “You mean I paid $25,000 for Travelshare and it’s worth absolutely $0 if I sold it to someone?” Yes, that’s correct. Can you imagine purchasing a car, house or other investment and not being able to sell it? Crazy. Lastly, Travelshare benefits can be changed or cancelled at any time. There is absolutely no guarantee that the program will continue. In closing, is Travelshare worth paying 700% more for than purchasing on the resale market? For me, it’s a resounding no. In fact, because of the almost impossible to find inventory, unfavorable exchange values for travel related items, extra dues, not being able to transfer it to non-family members and the chance it could change or be cancelled, I think that Travelshare is not worth anything at all. I really wish I had not purchased it. I am however very excited about the large Worldmark membership I own and will continue taking incredible vacations all over the world with my normal non-Travelshare Worldmark credits. Recently, I vacationed in Seaside, Indio, Phoenix and Maui and I’m already excited for eight more weeks of resort living coming soon. Ah, what fun! If you have ANY questions, please feel free to contact us. 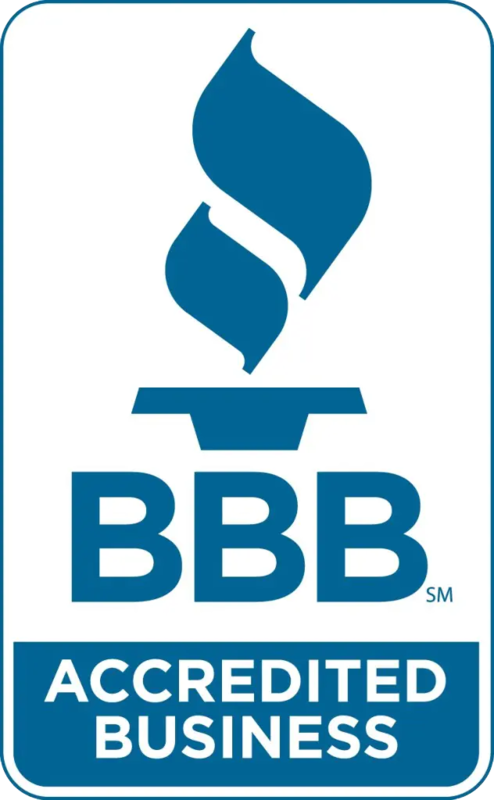 We work really hard to please our clients and have a perfect A+ rating with the Better Business Bureau. We have completed over 4,000 Worldmark transactions with zero complaints in our 13 year history. PS. Lori was also offered another benefit to buying Travelshare. It was a Wyndham Rewards Visa Card. She was told that by using this card that she would easily be able to pay all of her maintenance fees. Yet, what she was not told is that one must spend $5,000 just to receive $60 of cash rewards towards maintenance fees. With a 10,000 annual credit membership, Lori would need to spend over $60,000 to pay her maintenance fees on 10,000 annual credits. I have found this not to be a great value compared to many other cash rewards credit cards available today.